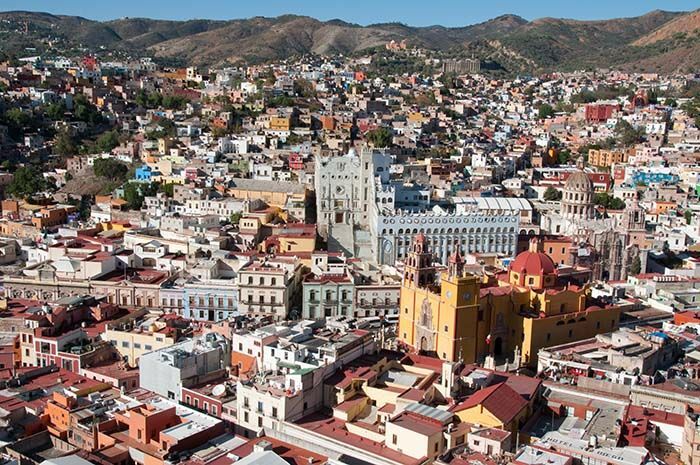 We can talk a lot about Guanajuato, but there is nothing like telling it from the inside, from the day to day of the city. So our coworker Gabriela Zendejas has agreed to answer the following questions. Don’t miss it! What makes Guanajuato such a special city? Guanajuato is a magical city, with beautiful architecture that speaks of our splendid colonial past. Every corner is rich in an ingenuity that takes advantage of the mountainous space into which the city was gradually embedded. 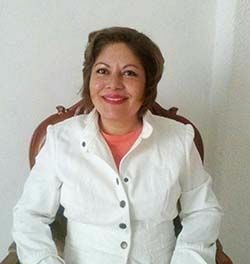 Why should we choose Guanajuato to learn Spanish? 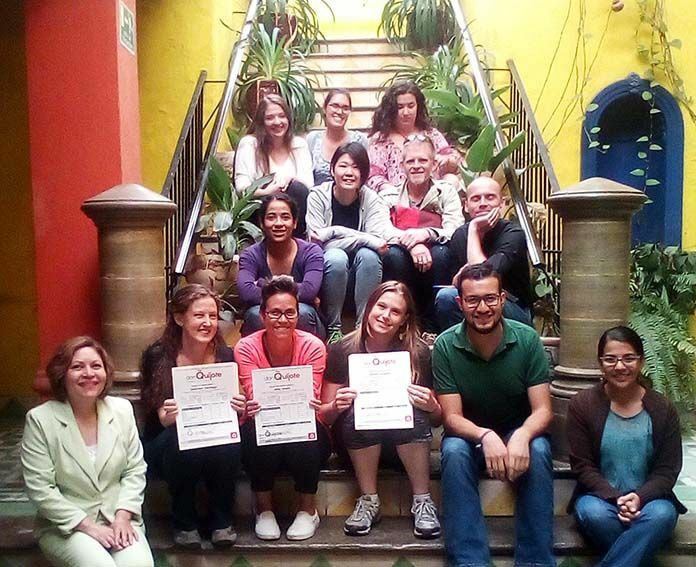 Guanajuato is the ideal place to learn Spanish. It’s a small town where the neighbors still say hello on the street in the morning, we gather together in the gardens and squares… all this allows our students to naturally integrate and practice their Spanish. Geographically it is a kind of open university town. We have a rotating population of just over 40 thousand university students from different areas of study, so the environment is youthful and the language is broad, varied and specialized. What is the don Quijote school in Guanajuato like? What can you tell us about it? The don Quijote school in Guanajuato is a marvelous building dating back over a hundred years, built with wide adobe walls which makes for good insulation, so the temperature is very pleasant all throughout the year. The central courtyard has a staircase surrounded by balconies adorned with wrought iron. Its two stories and high ceilings characterize the architecture in Guanajuato.. Which places in Guanajuato should we visit? First the romantic Callejón del Beso (Alley of the Kiss), followed by the San Roque and San Fernando squares, where festivals, films, video clips, novels and musicals are celebrated. Visiting the Ex-Hacienda San Gabriel de Barrera, an old colonial home turned into museum, cannot be left out in the tour of Guanajuato’s magical places. And what festivities should we not miss? Where should I start? Mexicans are very festive. In the state of Guanajuato we have something for everyone; culinary fairs, for example. In the summer we have the strawberry festival, quesadilla festival, the wine and beer festivals… For the fine-arts lovers there’s the famous Cervantino festival in October and in July, a film festival. For the adventurous, in March the Mountain Rally and in November the Hot-Air Balloon Festival. And for shopping, January´s fair in Leon specializes in leather goods. 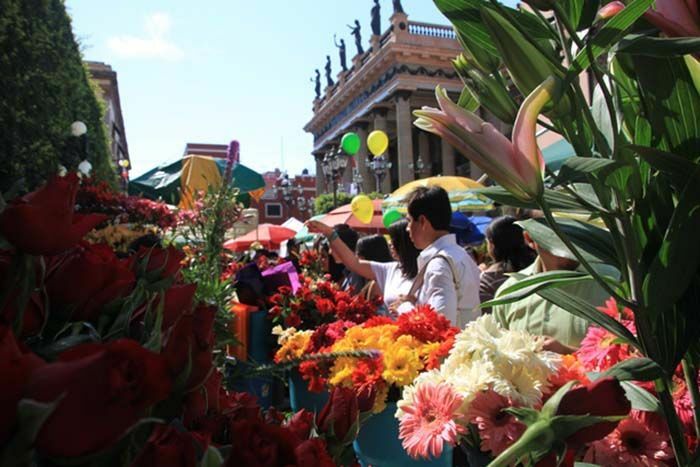 But the celebration that definitely cannot be missed is the Day of the Flowers, on the Friday of Dolores, the sixth Friday of Lent- between March 24th and 25th. What is the best time of year to visit the city? For the weather between March and April, for the festivals from September to November. And the best time of day to get lost in it? In the morning to get to know the city on foot and in the afternoon to enjoy a good coffee or a beer on a terrace. It is a city to walk around in, the colonial look, and that it is at the same time quiet, historical and cultural. For its view, the Pipila lookout point. The Plaza de San Fernando for its peaceful atmosphere and variety of restaurants. What is it we absolutely must eat in Guanajuato? Enchiladas mineras (a local specialty), the various strawberry types and sweet bread. What photo should not be missing in the camera of one who goes to Guanajuato? The view of the city from the Pipila. 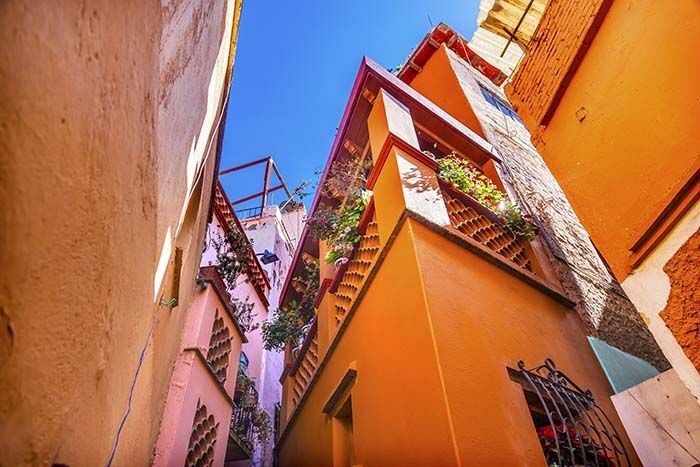 What makes Guanajuato different from other cities? Its history, its culture and, above all, its architecture. Why should we return to Guanajuato? For its youthful university atmosphere and that it’s perfect for romance. Guanajuato has something for everyone. And don’t just take it from us. You just heard it from a local. How can one not travel to such a wonderful place, full of life, color... and even of romance?